The glutton family has been on a journey to find some good Carrot Cake, and let’s just say we haven’t been very lucky. 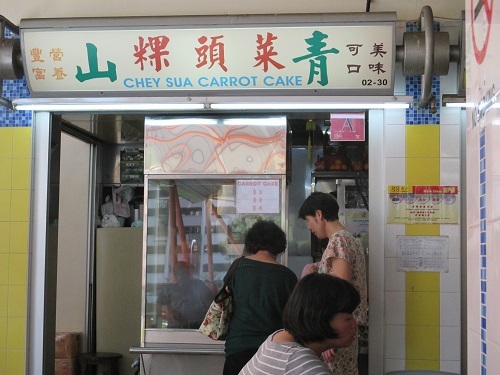 We decided to play safe, and we visited Chey Sua Carrot Cake in Toa Payoh, rumoured to be one of the best Carrot Cake stalls in Singapore. This stall has been around way before I was born and still surviving strong till today. 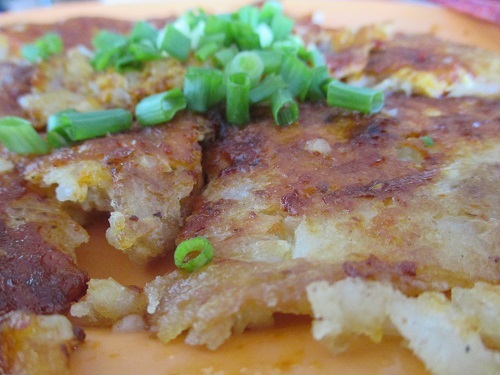 Chey Sua Carrot Cake was also one of the few stalls that got invited to go over to Sydney for Singapore Day! At least that provides some warranty of the food. When we first ordered our plain white Carrot Cake, we were surprised that there wasn’t a queue since it was so famous. Don’t be fooled though, the only reason why there wasn’t a queue was because they bring the carrot cake to you, saving you the trouble of queuing up! We waited for about 15-20 minutes before our plate of Carrot Cake finally arrived. The moment we set our sight on the plate of Carrot Cake, our eyes lit up. The Carrot Cake had a yummy looking crispy brown crust that covered the actual carrot cake. I almost forgot to take a picture before diving in! Needless to say, the eggs were fried till crisp, just the way we like it! The carrot cake was slightly different from normal, instead of being in huge chunks. The carrot cakes were in tiny pieces, making it soft and easy to munch on. The Chai Por or the dried turnip used in the Carrot Cake was on the sweet side, making the supposedly savoury dish into a rather sweet one. We also thought that the Carrot Cake could’ve made do with more Chai Por to make it a bit more fragrant! 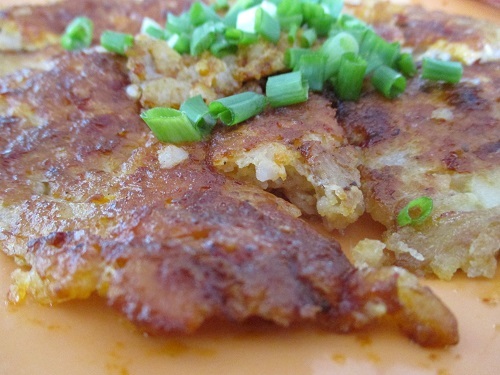 Overall, Chey Sua Carrot Cake was a joy to eat. The crispiness of the egg along with the soft carrot cake won our hearts over. 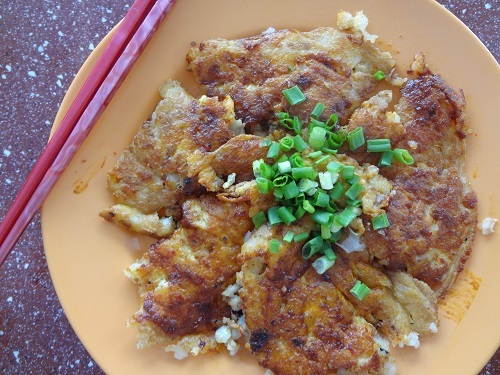 Not the best Carrot Cake stall in Singapore, but definitely one of the top few!